Discussion in 'Networking, Telephony & Internet' started by BOB_LORDOFEVIL, Sep 26, 2006. Hive, zoki_007, McRutch and 2 others like this. This is my rack. Mostly for VMware study. Installed some new cabinets in the laundry and I was going to try and make some shelving I had a light-bulb moment while looking at the Ikea website for something else. $14.99 for a metal document organizer with slide-out trays which gits everything quite well. Last night I cut a hole for a 120mm fan in the upper left corner and moved my unraid server in there as well. CPU sits around 38 idle with all disks spundown. Cisco don't do SNMP temp monitoring for meraki's so I've got no idea how hot they actually are. So I'm looking at getting some cable probes or something to run from a RPI to keep an eye on them as well via Librenms. With life (inc now Mrs and her kid) getting in the way I never got to try messing around with a rpi for fan control etc. Now that I have a small PC in there and it's been getting warmer the fan noise is getting more noticeable. I've done some searching but haven't found anything that doesn't seem over the top so far. 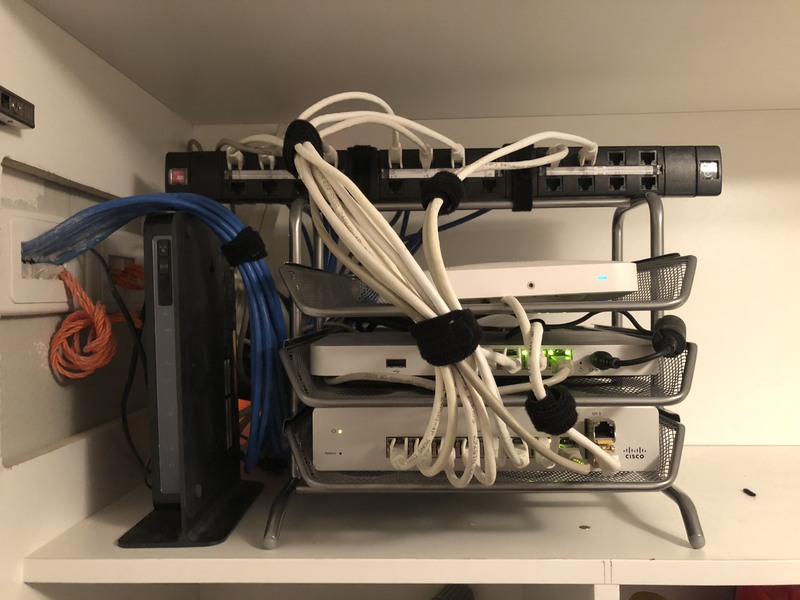 I don't have enough room for a normal rack. Its hidden by my study desk and main rig. Idle POE power draw is 32 watts in total. 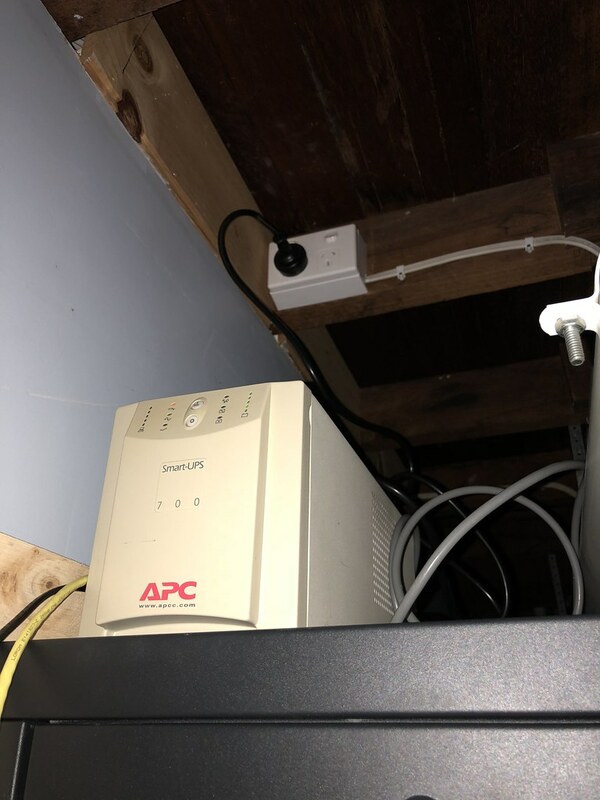 Currently waiting for batteries to be delivered APC BR1000 UPS to power POE switch and server. 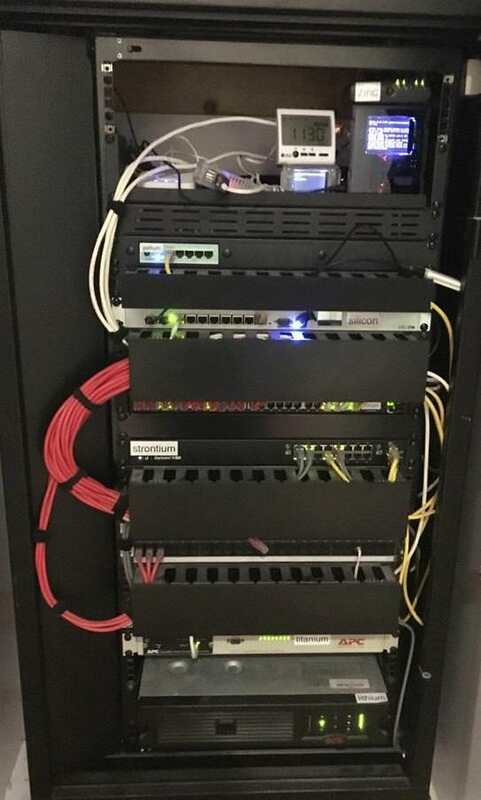 We're going to have a "rack" like that where I work in a few weeks... Waiting for NBN to get connected (FTTC). Currently everything is just stacked up in a corner. Rather untidy and cables all tangled. I've got a 120mm extraction fan in the top of the cabinet to keep airflow moving. callan and Pugs like this. 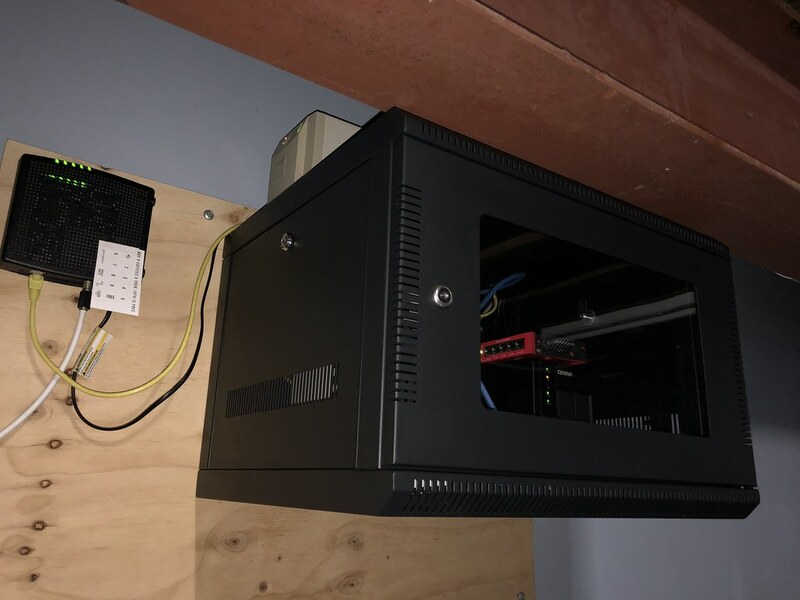 Got mine split into two, an inside rack where the NBN etc comes in, an outside (shed) rack were my NAS etc live. Will be replacing the shed rack with a new 18RU unit that will go under a staircase. Just waiting on a renovation! Obviously you'd need a dual LC UPC patch lead that is long enough for the run. Already have this covered, i have a bunch of modules. Just waiting on the renovation, i have a conduit planned to run between the house and shed (approx 70m cable length). Right now i'm using a wireless bridge (2x Ubiqiti Nanobeam Gen2), works a treat. I really like that you can take the side panels off for easy access. I've bought random stuff from them in the past and their service has always been really good! Yep, have used Selby here in melbourne a few time, they are great. Well come on then, show us what equipment you have!